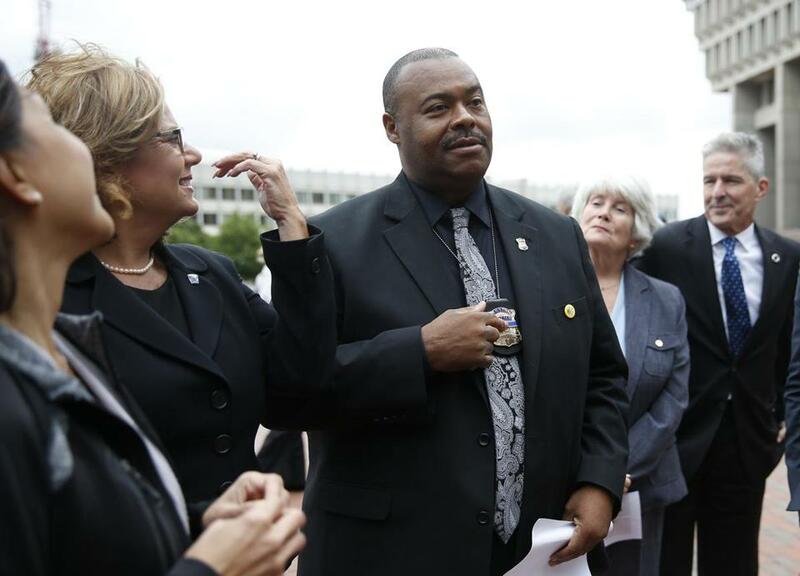 Boston Police Commissioner William Gross has been trading criticisms with the American Civil Liberties Union. Boston Police Commissioner William G. Gross was sworn in four months ago to great fanfare, promising to improve relations between the community and the department. But that pledge is being tested after he denounced the American Civil Liberties Union over the weekend on his personal Facebook page as “paper warriors” more concerned with filing lawsuits than helping police combat crime. On Monday, Mayor Martin J. Walsh and police officers defended Gross, while some politicians questioned his stance. Local ACLU officials responded to Boston Police Commissioner William Gross after he took the unusual step of commenting on a legal controversy on Facebook. In a statement, Walsh, who made history last summer when he named Gross the city’s first black commissioner, expressed support for Gross. But Gross’s remarks prompted pushback from other political leaders and seemed to reflect a more hardline stance from a law enforcement official who had been widely viewed as friendly and open to change. Nika Elugardo, who was elected state representative in November, agreed. The remarks from Gross, who has kept a low profile as commissioner and is known more for doling out hugs than criticism, were also surprising given that his predecessors rarely feuded publicly with the ACLU, which has a long history of suing police departments for alleged civil rights violations. Police leaders said his comments reflected frustration with civil rights advocates who refuse to recognize the city’s reduced crime rates or the need for police to develop and share gang intelligence to keep residents safe. Michael F. Leary, president of the Boston Police Patrolmen’s Association, said his phone had been flooded with texts and calls from officers thrilled by Gross’s statements. Michael Talbot, vice president of governmental affairs for the Massachusetts Fraternal Order of Police, said it has been infuriating for police to be criticized for using surveillance tactics that have helped solve crimes like the Boston Marathon bombings. Gross has “done investigations his whole life and he understands that these are important tools for solving crimes,” Talbot said. Boston police declined to comment when the ACLU’s lawsuit on labeling gang members was filed on Nov. 15. Gross, who has more than 4,700 friends on Facebook, wrote over the weekend that it was his “Constitutional right” to share his personal opinions on the matter. “NO ACLU when Officers are shot, No ACLU when we help citizens, no ACLU present when we have to explain to a mother that her son or daughter was horribly murdered by gang violence,” Gross wrote in Saturday’s post. In the post, Gross said the ACLU knows nothing of telling a mother her child has been killed and has never expressed sympathy for an officer shot in the line of duty. Daniel F. Conley, the former Suffolk district attorney, said Gross’s affable personality belies a fierce devotion for the department and public safety. The ACLU of Massachusetts is one of several plaintiffs in the lawsuit, which is seeking to compel Boston police to release details about the department’s practice of identifying young men and teenagers as gang members and making the information available to federal immigration officials. 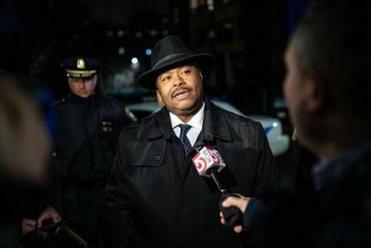 Tanisha Sullivan, president of the Boston chapter of the NAACP, which is not involved in the lawsuit, said that the ACLU is seeking demographic data that other police departments have shared with the public. “Our experience with the ACLU, and that of so many other civil rights organizations, is that they have been working on the ground and working vigorously not only on civil liberties issues as we know them, but to advance racial justice and women’s rights,” Sullivan said. Boston City Councilor Ayanna Pressley, who was just elected to Congress, said she supported the ACLU’s efforts to learn more about the database. “I share the serious concerns raised by the ACLU, and several other civil rights organizations, about the potential profiling of Boston residents — specifically in communities of color — and the targeting of undocumented immigrants as a result of the BPD’s gang database,” she said.